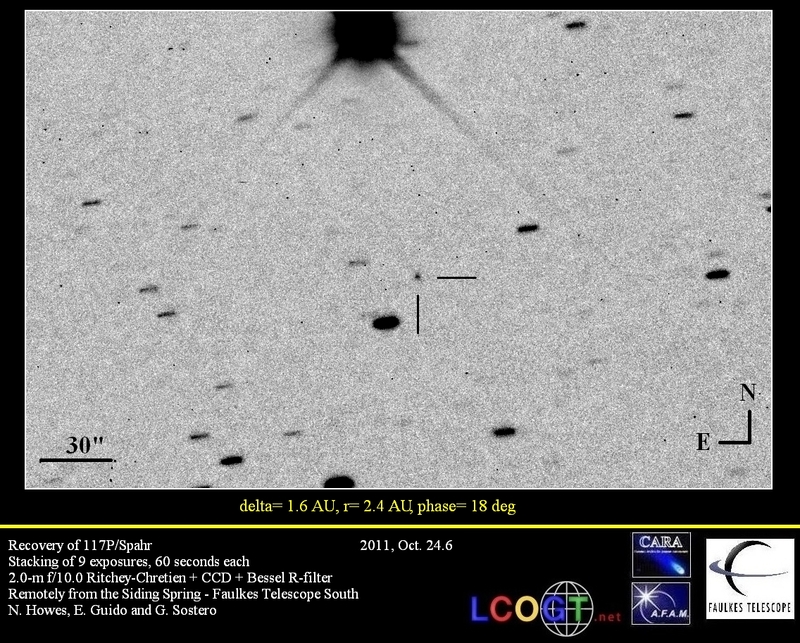 The asteroid 2015 TB145 was discovered (at ~ magnitude +20) on 2015, October 10 by Pan-STARRS I survey (MPC code F51) with a 1.8-m Ritchey-Chretien + CCD. 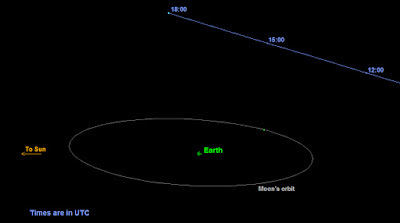 Asteroid 2015 TB145 has an estimated size of 290 m - 650 m (based on the object's absolute magnitude H=19.8) and it will have a close approach with Earth at about 1.3 LD (Lunar Distances = ~384,000 kilometers) or 0.0033 AU (1 AU = ~150 million kilometers) on 2015, October 31 at 17:01UT. 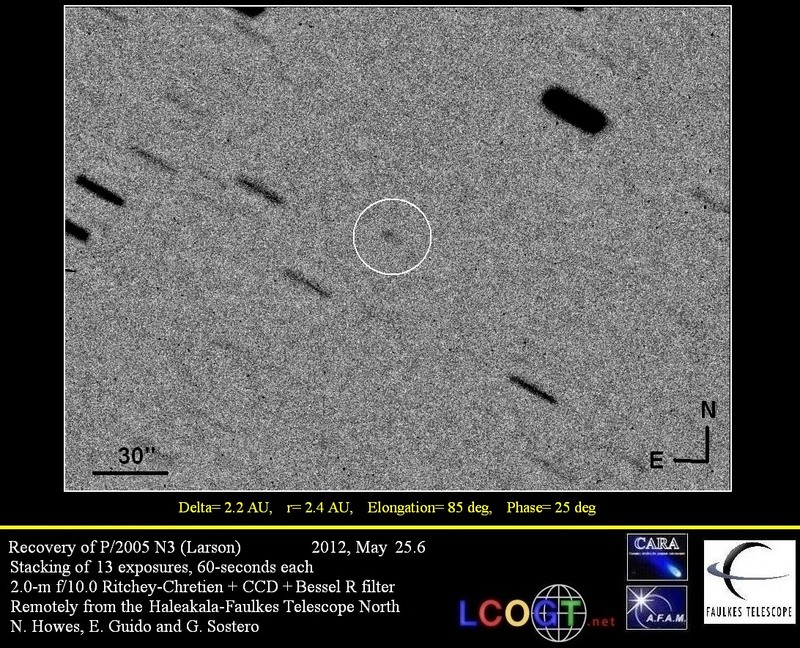 This asteroid will reach the peak magnitude about +10 between on October 31. Radio astronomers will try to observe it as the radar signal-to-noise ratios will be very strong "so this should be one of the best radar targets of the year. We hope to obtain images with a range resolution as high as 2 m/pixel using DSS-13 to transmit and Green Bank (and possibly Arecibo) to receive. The flyby presents a truly outstanding scientific opportunity to study the physical properties of this object." 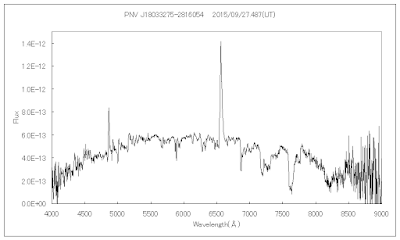 Moreover 2015 TB145 is in an extremely eccentric (~0.86) and high inclination (~40 deg) orbit. 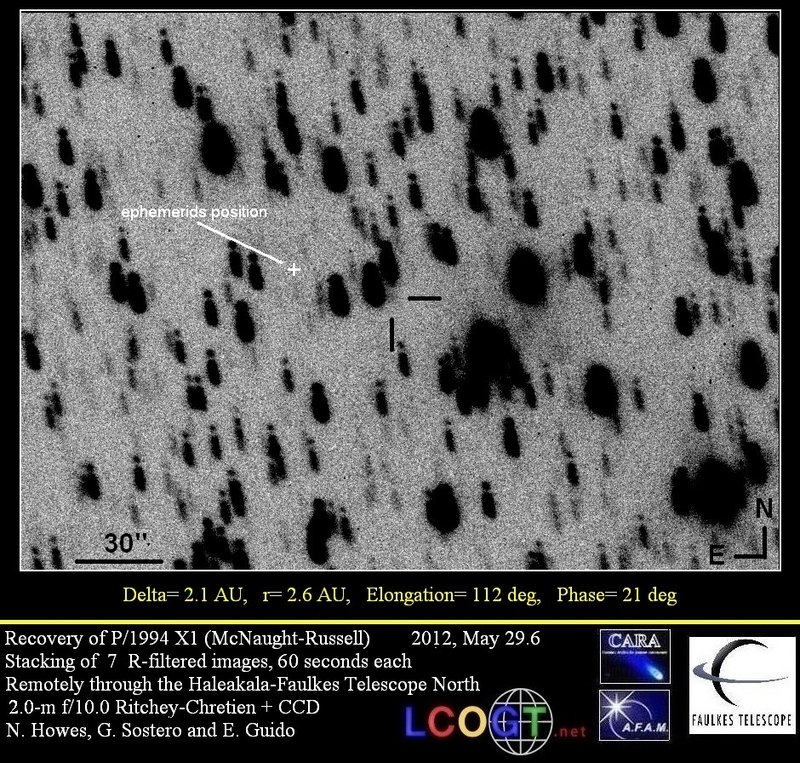 It has a Tisserand parameter of 2.937 hinting that it may be cometary in nature. 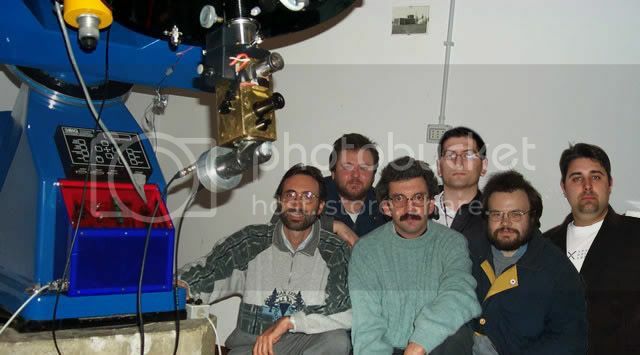 If so, then this would be the first time that the Goldstone radar has imaged a comet from such a close distance. The encounter velocity is 35 km/s, which is unusually high. 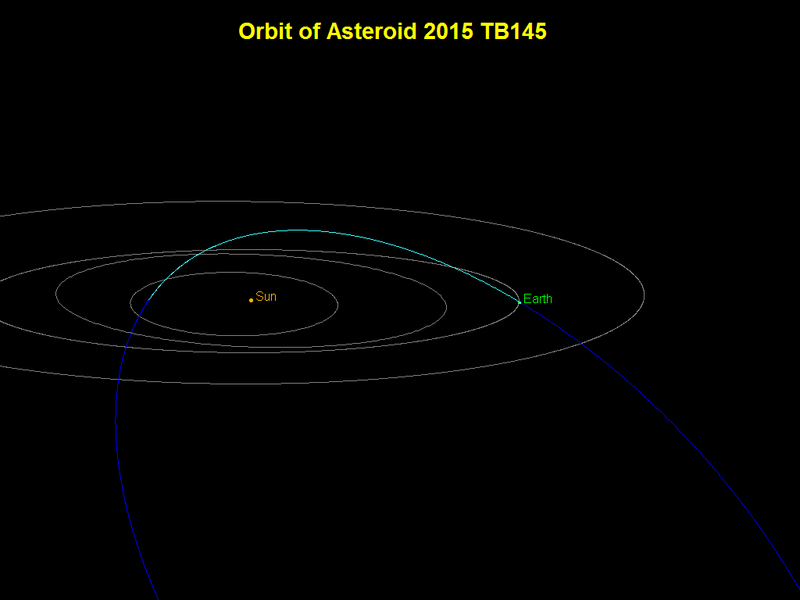 The graphic below depicts the orbit of asteroid 2015 TB145 (click on the image for a bigger version). 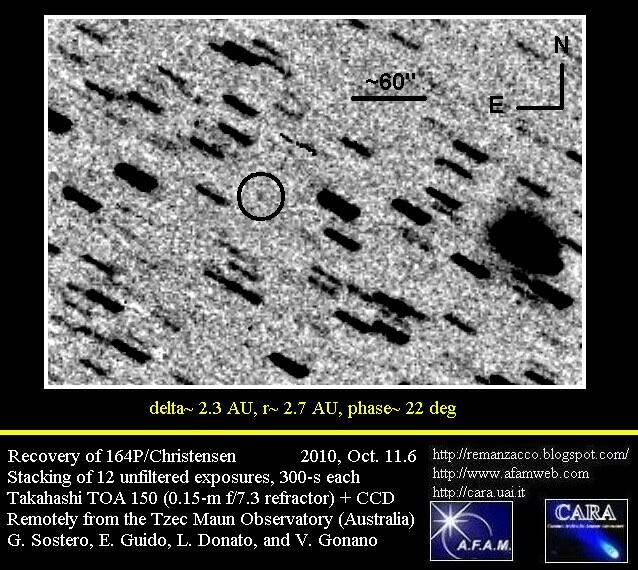 The graphic below depicts the passage of asteroid 2015 TB145 past Earth on October 31, 2015 (click on the image for a bigger version). 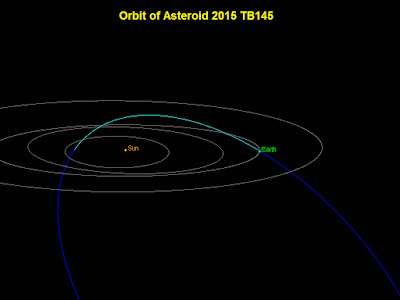 This flyby of 2015 TB145 will be the closest by any known space rock this large until asteroid (137108) 1999 AN10 (absolute magnitude H=17.9) flies past Earth in 2027 within one lunar distance. 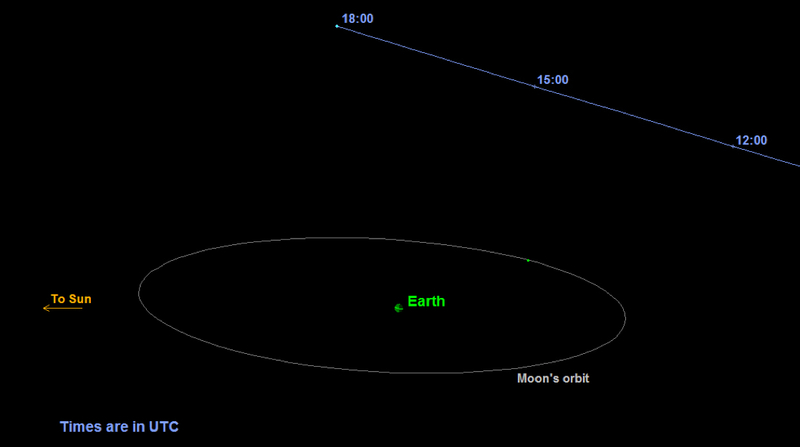 On April 2017, another asteroid "2014 JO25" (absolute magnitude H=18.1) will pass at about 4.8 LD from Earth. I performed some follow-up measurements of this object on 2015, October 26.5, remotely from the Q62 iTelescope network (Siding Spring, Australia) through a 0.50-m f/6.8 astrograph + CCD + focal reducer). 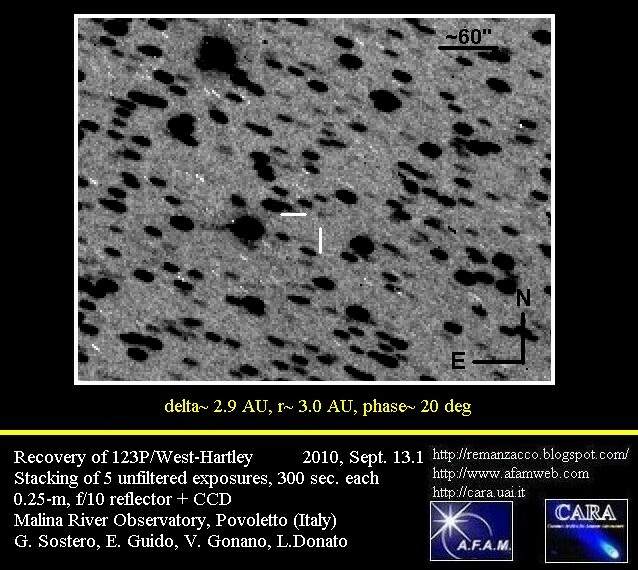 Below you can see our image taken with the asteroid at about magnitude +16 and moving at ~ 0.78 "/min (full moon was only 48 degree away from the asteroid). 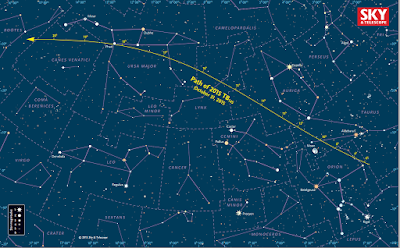 At the moment of its close approach on Oct 31, around 17UT, 2015 TB145 will move at ~ 880 "/min (or about 14.7 deg/hour). Click on the image below to see a bigger version. (North is up, East is to the left). 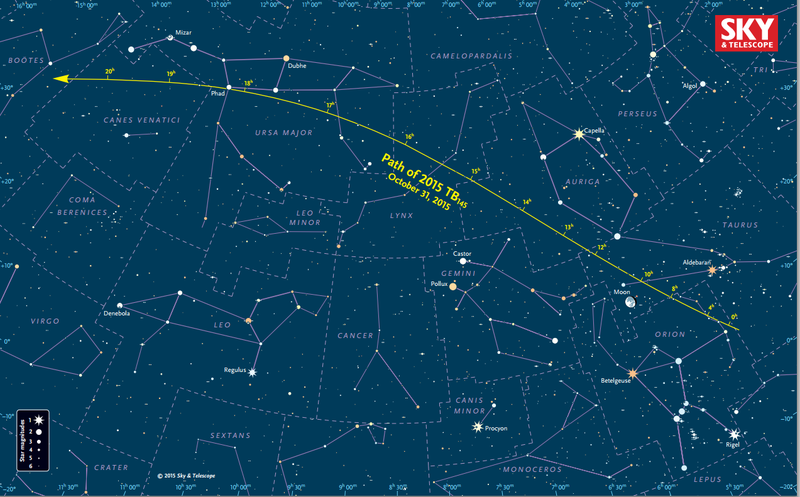 The chart below shows the path of asteroid 2015 TB145 as it sweeps past Earth at 35 km per second. "During this 20-hour-long period the asteroid's magnitude varies from 10.1 to 12.2, and its proximity to Earth will create a parallax shift of ½° or more. So you won't be able to point your telescope based on this track; instead, you will need to consult another source (for example the MPC website) to generate positions specific to your location" (click on the image for a bigger version). 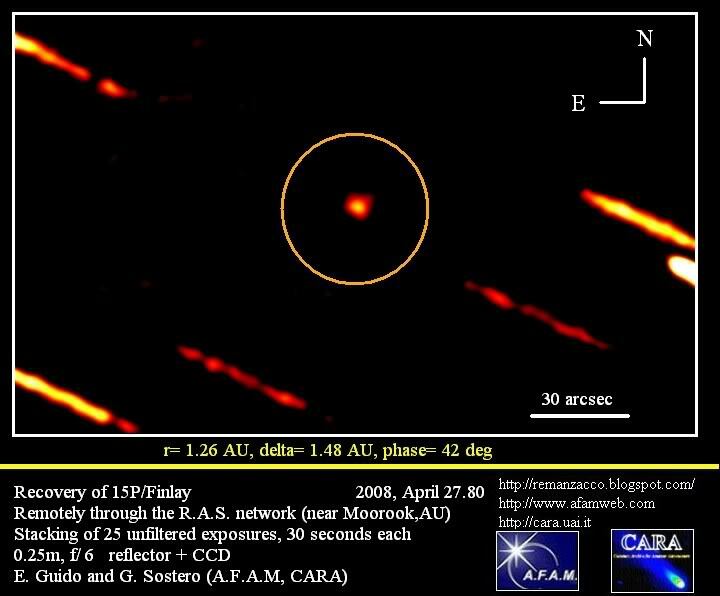 The radar images from Arecibo indicate the object is spherical in shape and approximately 600 meters (2,000 feet) in diameter and completes a rotation about once every five hours. The animated GIF above was generated using radar data collected by the National Science Foundation's 305-meter (1,000-foot) Arecibo Observatory in Puerto Rico. The six radar images used in the animation were taken on Oct. 30, 2015, and the image resolution is 7.5 meters (25 feet) per pixel. 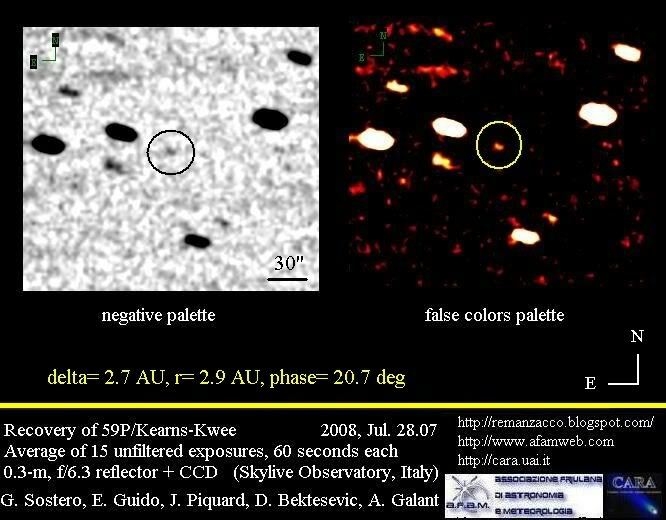 Scientists observing asteroid 2015 TB145 with NASA's Infrared Telescope Facility (IRTF) on Mauna Kea, Hawaii, have determined that the celestial object is more than likely a dead comet that has shed its volatiles after numerous passes around the sun. Indeed researchers now estimate that its surface reflects only about 6% of the sunlight that strikes it (most comets have a reflectivity in the range of 3% to 5%, but asteroids are usually considerably higher, around 15% to 20%). 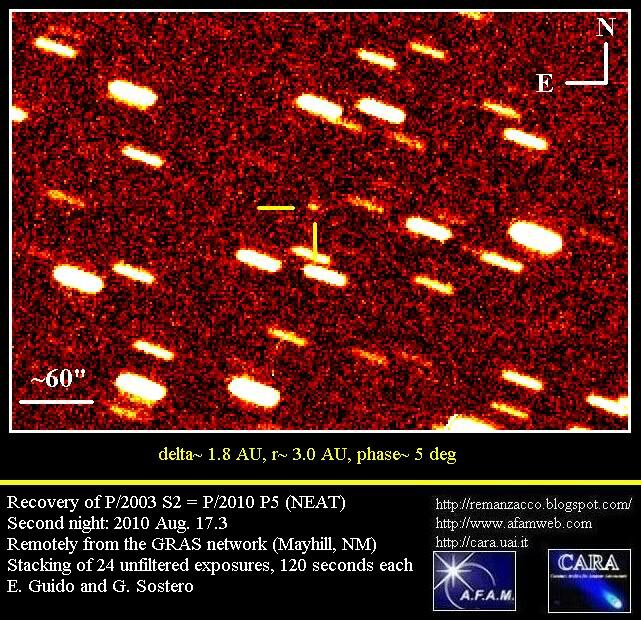 Below the new radar animation of asteroid 2015 TB145 obtained by the radar team of Arecibo Observatory on Nov 1, 2015. 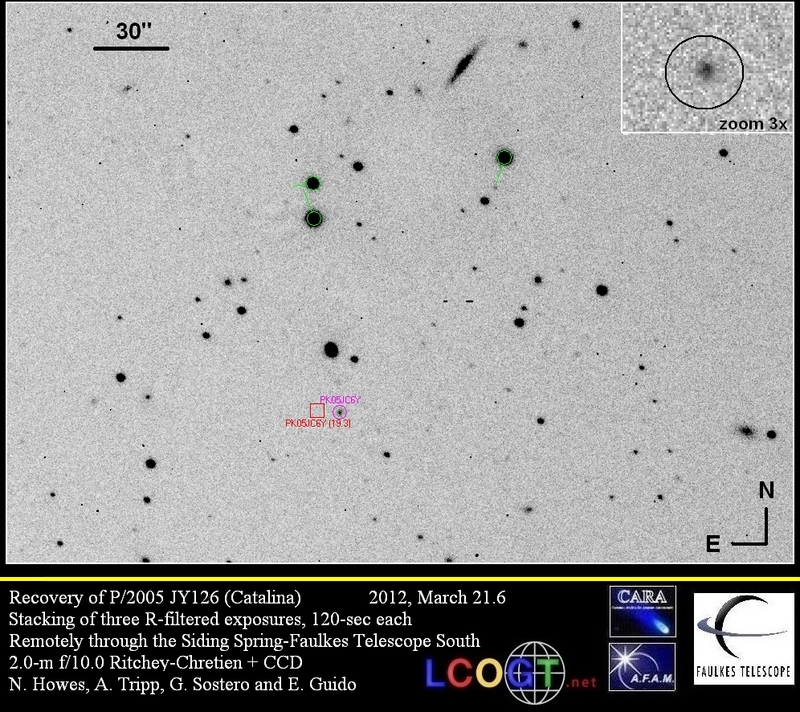 Following the posting on the Central Bureau's Transient Object Confirmation Page about a possible Nova in Sgr (TOCP Designation: PNV J18033275-2816054) we performed some follow-up of this object remotely through a 0.43-m f/6.8 astrograph + CCD) of iTelescope network (MPC Code Q62 - Siding Spring). 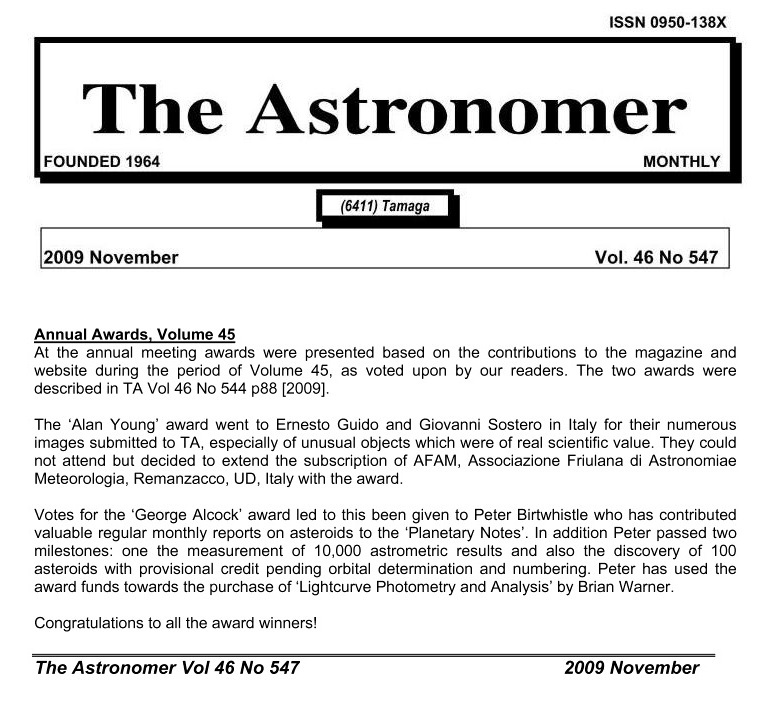 (equinox 2000.0; UCAC4 catalogue reference stars). According to CBET nr. 4145, issued on 2015, September 30, , PNV J18033275-2816054 is now NOVA SAGITTARII 2015 No. 3. This nova has been discovered K. Itagaki (Teppo-cho,Yamagata, Japan) on an unfiltered CCD frame taken on Sept. 27.429 UT using a 180-mm-focal-length camera lens. A spectrogram (resolution about 500 at H-beta) taken of PNV J18033275-2816054 by M. Fujii (Kurashiki, Okayama, Japan) with a 0.4-m telescope on Sept. 27.487 UT shows Balmer emission lines, with the H-beta line having a P-Cyg profile that indicates an expansion velocity of about 1100 km/s. 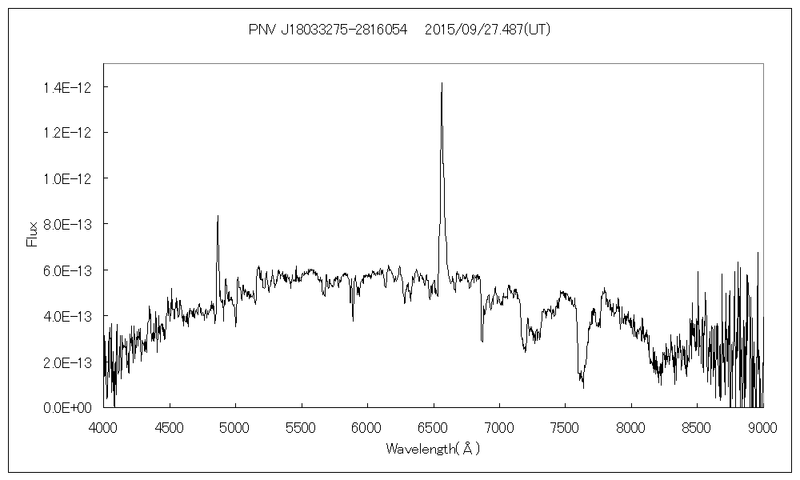 Emission lines of Fe II (37), (42), and (49) also have P-Cyg profiles. The Na D absorption is remarkable. (see image below).